If you find your ball on a pile of aeration plugs, you must assume it will not be eventually removed and play the ball where it lies. You may remove some plugs but in the process you must make sure you won’t move your ball at rest. The penalty would be one stroke. Same answer as the aeration plugs. You must play the ball where it lies. in the forest we can’t consider this hole as being ground under repair. 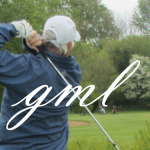 When a tree is removed or if a tree has fallen in an area close to the fairway, it is possible for the Committee to consider this area as Ground Under Repair (GUR). If the hole was filled with sand or earth, it is not recommended to consider it as GUR. Even if the ball lies in the middle of the woods, we will still consider it as casual water, a free relief is available. -1 Your tee shot is struck toward a bunker. When you arrive at the area you don’t find your ball. The bunker is full of water or snow. -2 The ball lies in a bunker almost full of casual water, only a small area of dry sand. -B No area in the bunker is dry. -3 Your ball lies in a bunker in a deep crack in the sand and it is not possible to put the club on the ball. -4 The ball lies near a bees nest and the bunker is very small. 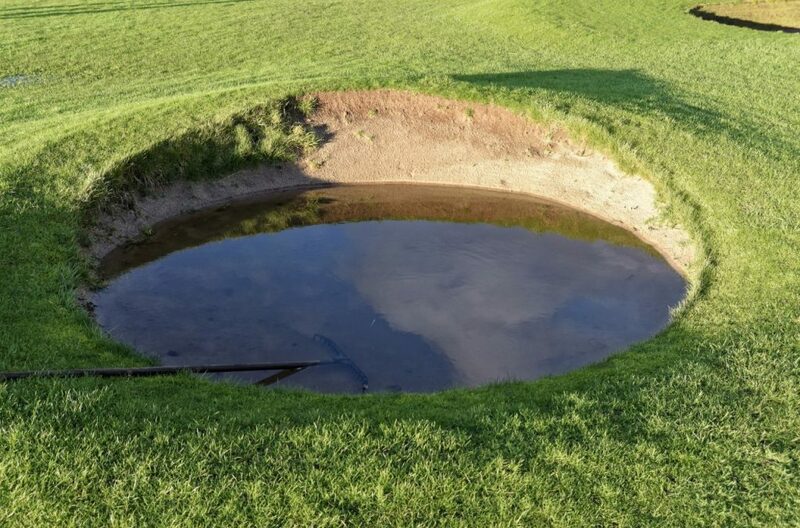 -5 Half of the bunker is full of water, you can see your ball but can’t recover it. -6 Your ball lies in a bunker near a big branch that has fallen overnight.